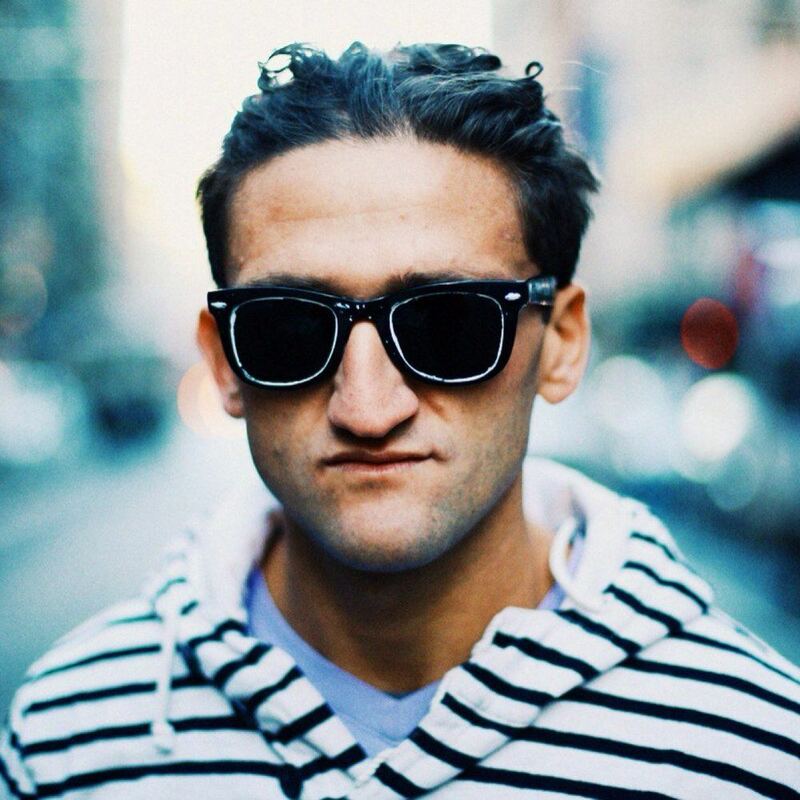 Casey Neistat, filmmaker, YouTube creator and digital influencer recently signed a deal with CNN reportedly valued at $25m. The CNN deal will see the winding up of BeMe the Gary Vaynerchuk-backed video app Neistat runs with Matt Hackett, former VP of Engineering at Tumblr. But the new venture will also bring the same authenticity-driven ethos the app inspired. Hackett will oversee technology whilst Neistat will be in charge of editorial of “timely and topical video and empowering content creators to use technology to find their voice”, according to the CNN press release. This is a significant move for CNN, Neistat and Hackett. It has potential to provide a small antidote to our post-truth world. 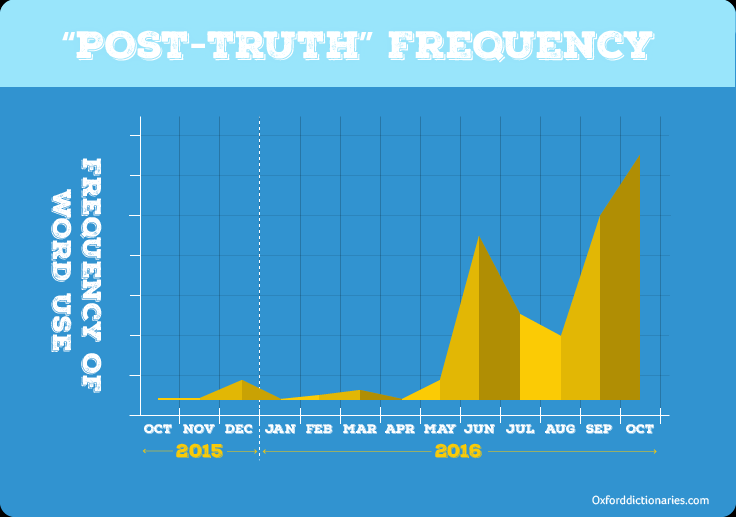 Post-truth: the compound word which Oxford Dictionaries announced recently as its Word of the Year 2016 exploded in popularity this summer around the UK’s EU referendum and in the run-up to the US presidential election as the image below shows. I discussed the phenomenon in my post entitled: Living in a post-factual world. We have grown weary of spin. We are skeptical of much that is ‘official’ be it politics, business or traditional masthead media. We do, however, identify with online influencers. We find them more relatable; more engaging than traditionally authoritative voices. 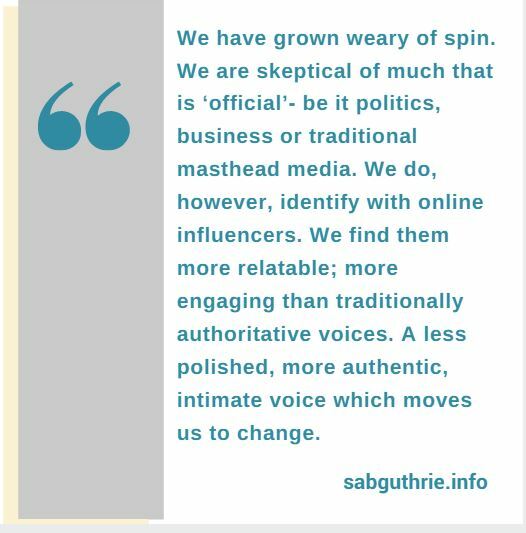 A less polished, more authentic, intimate voice which moves us to change. We don’t just watch YouTube creators, we feel as though we can interact with them, too. By the end of the decade YouTube stars will consume the entire top-20 celebrity influencer list for American teenagers according to celebrity brand strategist Jeetendr Sehdev in a Variety commissioned survey. CNN isn’t the first traditional media company to turn to new media channels and style to reach new audiences. In August NBCUniversal made two strategic investments putting $200 million into Vox Media and a further $200 million into Buzzfeed. Buzzfeed has successfully found a way to ‘smuggle’ hard-edged news stories into the news streams of target Millennials. Famous for its listicle story style the new media site also covers politics and hard news. Likewise Vox.com, under editor-in-chief Ezra Klein, has created a huge following serving the important news stories of the day in a format and style which a predominantly Millennial audience finds palatable to swallow. Klein addresses what journalists have long-time called the spinach stories – stories which you know are good for you but you don’t necessarily want to consume. Vox.com brings these stories to life making them not just matter or more appealing but also making the big topics of the day understandable – delivering contextual information more cleanly, clearly, and consistently. An antidote to the post-truth era means delivering information with context. It means being willing to adopt a tone that isn’t intimidating or exclusive but rather a tone which is inclusive inspiring comment and interaction through honesty and understanding. It means being aware that no one really has the answers any more but being willing to try and figure out some of them. Let’s hope Neistat, Hackett and CNN can help us figure it out, too. Great insights Scott. I’ve been monitoring the rise of the vlogger influence factor for over 2 years now, both personally as a fan and professionally as someone who has spent years doing PR connected with celebrity partnerships between products, charities and pharma companies. I totally agree that YouTube has spawned a generation of influencers whose reach and relatability are game changing in for brands and causes in today’s “post-truth” world. My one concern is exalting these people to ‘celebrity’ status; though I see it partly as inevitable, it could be a double-edged sword. As you noted, it’s the relatability of these vloggers, along with their authenticity, that makes them influential in the first place. Consumers, particularly younger audiences, identify with these people in a way they don’t with celebrities. Yes, Kim Kardashian has seemingly huge social media clout, but all you need to do is run a basic Twitter audit on her to see the cracks in the veneer of her “huge” online following. Moreover, while she is indisputably influential, the average teen or 20-something is not relating to her one-on-one. They admire/worship her, but they know they’re never going to be her. But these same consumer segments interact with some of today’s hottest YouTubers, not as fans, but as friends. They feel a common bond and that’s what propels their loyalty to that vlogger. As the stakes get higher, and the crossover between YouTube and mainstream media increases (ala the Neistat/CNN deal), and brands and causes seek to maximise on sponsored content deals with these vloggers, it’s going to become increasingly difficult for them to maintain that air of relatability and authentic trustworthy with their viewers. The minute sincerity starts to smell like sell-out or everyday characters start to sound/act like elite celebrities, this entire platform could fold like a house of cards. It’s a challenge that both YouTube creators and marketers are going to have to address because it would be a shame to see this vital, fresh and exciting medium turned into just another venue for commercials. Meg – thanks so much for taking the time to read and comment. Absolutely online influence is fast approaching an inflection point. They need brand money to keep working but to re-use your line, which I love, the minute sincerity starts to smell like sell-out they’re sunk. These influencers influence because of the close relationship they’ve built up with their audience. One whiff of shilling too much product and they’re sunk. The audience will move some place else. Re celebrity: Social media has given us all both voice and choice. A choice to choose who to celebrate in celebrity. A choice to turn ourselves into celebrities. It used to be that fame was heaped upon us. Now fame is something we do. David Weinberger, co-creator of the Cluetrain Manifesto, and its reprise: New Clues, wrote back in 2012 “The people we make famous and sometimes rich are usually people like us. They’re flawed. They make spelling errors when they tweet from their mobile phones. They treat us with a rough but real respect”. We love YouTube ‘stars’ not despite their flaws, but because those flaws show that they are one of us. But now top YouTubers have professional & personal managers, stylists, accountants and lawyers. They’re accruing the trappings of big business. This moves them out of the world that their audiences relate to and is expensive to upkeep. It’s a beast that must be continually fed. Which, in turn, makes it more likely that the influencer will take on brand money to keep feeding it.